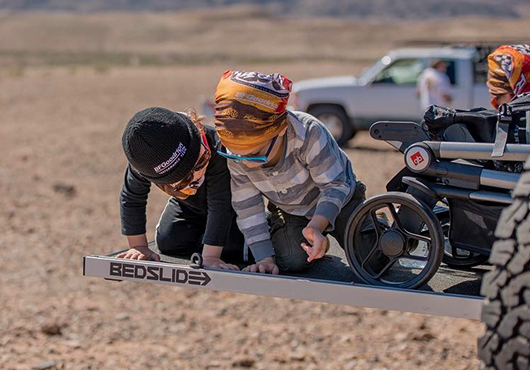 Bed Slide is simply a better way to access your ute tray by turning it into an easy-access drawer. No more crawling around to get to your tools, gear or supplies. Simply grab the handle and pull, and the Bed Slide rolls all of your cargo out to you—saving time, effort and back pain. Crawling around your tray to get your gear is the last thing anyone wants to be doing. 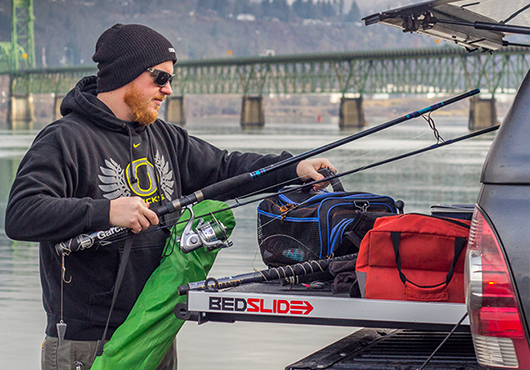 The effortless slide out system that is Bed Slide rolls your gear out to you no matter if you’re carrying a full load or just the fishing rod and tackle box. The simple latch locking system allows you to bring your gear to you, just grab the handle and pull. If there’s one thing you can count on the American’s guaranteeing when they make a product it’s that it’s hard wearing and durable. 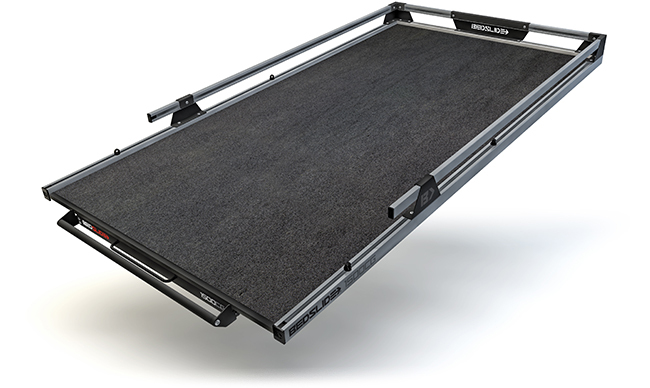 Built from 100% weather resistant and heavy duty materials the American made Bed Slide is a tough, heavy duty drawer built to withstand whatever you can load it with. A storage system is only as good as what it can hold and the Bed Slide can take the lot. 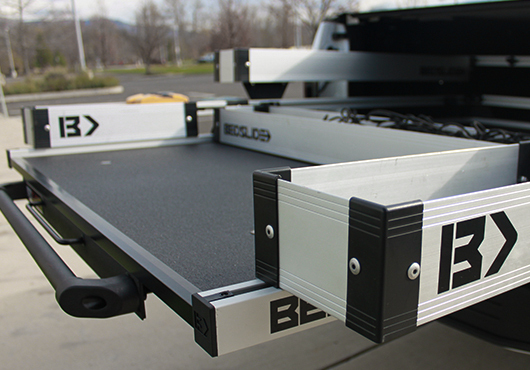 Bed Slide turns your ute tray into a giant half tonne drawer, taking on a maximum evenly distributed 450kg load. 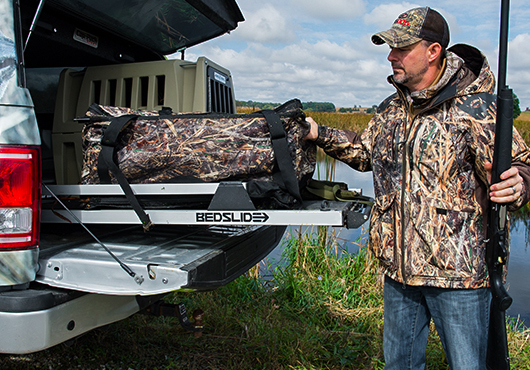 Throw caution to the wind and load everything you need and more, there’s no question whether or not the Bed Slide can handle it. Having a bit of organisation never hurt anyone. Bed Slide can be fitted with cargo rails, storage bins and a divider to keep everything in order. If you’re after a dedicated space for your everyday tools or need some extra tie down points to keep your more expensive items secure the Bed Slide accessory range has you sorted. Not convinced? Come in to one of our stores and have a chat, or phone us on 0800 111 000.